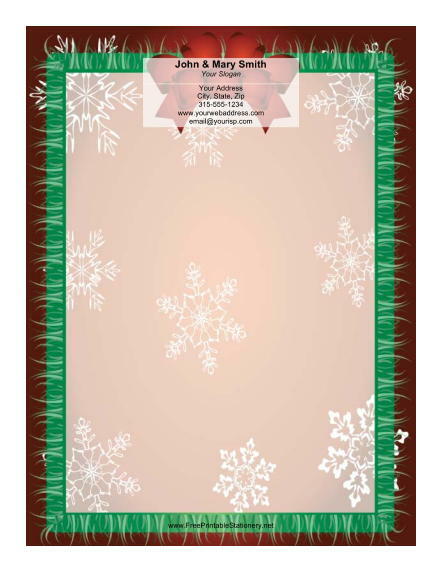 This Christmas stationery design has a bright red bow with snowflakes and a colorful green border. The grass near the edges of the border reminds your addressees that winter will soon end, and spring will return. This stationery is ideal for wintertime newsletters to family and friends.